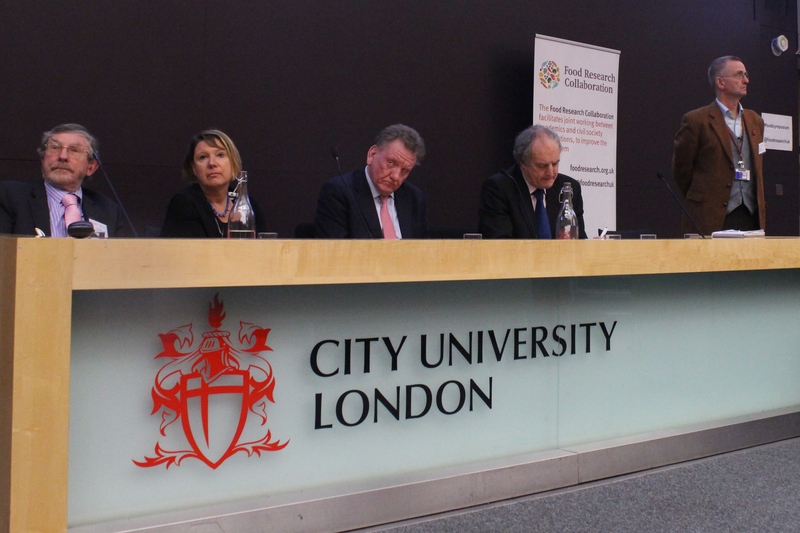 Leading figures from across the food industry have discussed the implications of a UK exit from the European Union at the 2015 City Food Symposium. Among the speakers was Martin Haworth, Director General of the National Farmers’ Union (NFU), who said a vote to leave would cause a “long-term situation of chaos”, during a withdrawal process that would require “at least two years” of negotiations . However, he said it was “impossible” to say what the best result of the upcoming EU referendum would be for farming. “Although we know what the advantages and disadvantages of being inside the European Union are, we’ve no idea what Brexit would mean for agriculture,” he said. Martin explained one problem was that the government was reluctant to offer details on what an independent UK would look like because the Prime Minister supports staying in the EU. Martin stresse d the NFU was not taking an official position on whether the UK should remain in the EU or not as it was waiting for David Cameron to announce the Government stance. He added that those campaigning to leave were “a coalition of total opposites” and could not offer a vision of how the country would work outside the union. In an overview of the current relationship between the UK and EU, Martin explained that many farmers could only make a profit with the help of subsides from the union. These include cereal, cattle and dairy farmers. There are around 34,500 non-UK employees in full-time work in the country’s agriculture sector, with 65 per cent from EU, plus at least 20,000 temporary employees from Europe. “Without that [EU labour], we probably wouldn’t be able to produce most of our fruit and vegetables,” he said. He added there were 65 international trade agreements that the UK would need to renegotiate following a withdrawal. 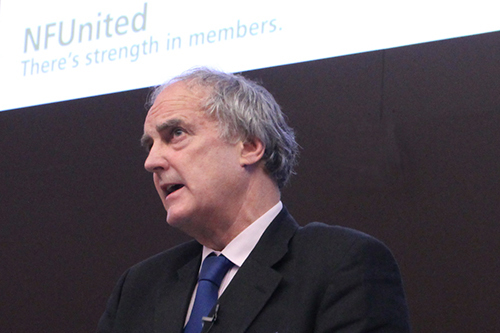 The NFU chief said there were some “very inappropriate and disproportionate European regulations”, but added there were also issues with national legislation. 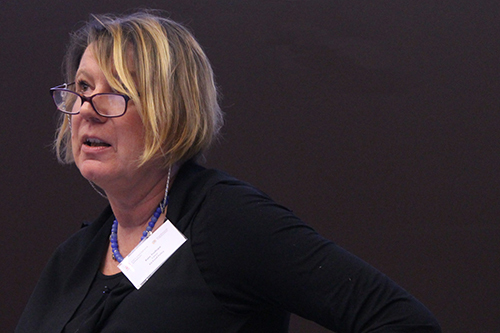 Kate Trollope, Editor of the news website EU Food Policy, agreed with other speakers that a UK exit would mean the country would still have to abide by European trading rules, without having a say over legislation. The journalist said the UK currently had “substantial voting power” in the union, but also criticised lack of openness of the EU’s “very secretive” Standing Committee on Plants, Animals, Food and Feed. According to Kate, the current EU administration under President Jean-Claude Juncker is “very, very reluctant” to introduce more food legislation and is currently reviewing its laws. Joining Kate Trollope and Martin Haworth in the opening session was Ian Wright, Director General of the Food and Drink Federation (FDF), who said a UK exit would mean the country would have to spend a decade renegotiating its trade agreements with the rest of the world. “It’s not [a] two years exit, I suspect, it’s ten,” he said. Ian added that the FDF was not able to take a stance on EU membership because, like the NFU, it had not been able to gain enough details from the government on what an independent UK would be like. The morning session's speakers agreed that there would be three main options for trade agreements in the event of a UK exit. The first was to become a member of the European Economic Area (EEA), but Martin Haworth warned this was “not ideal” as it would mean Britain would have to abide by most EU regulations without being able to vote on them. 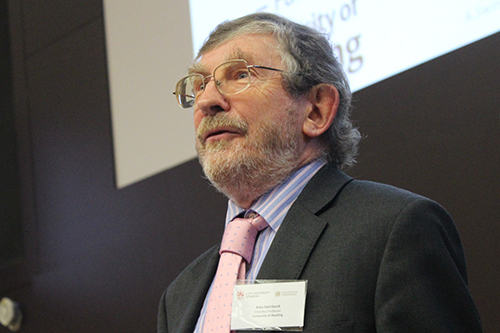 Professor Alan Swinbank, of the University of Reading, suggested the EEA would be favoured by the EU but there was a “really strong possibility” this would not suit Britain. Secondly, a free-trade agreement, like the one arranged by Switzerland and the EU over a ten-year period, would also see many of the same regulations apply and could require lengthy negotiations. David Baldock, Director of the Institute for European Environmental Policy and a speaker in the afternoon session of the day, said a Swiss-style agreement was “already pretty much ruled out by the commission”. The final option was the “default position” of arrangements with the World Trade Organisation (WTO), which would mean the UK would maintain its current trade tariffs with Europe but would have limited ability to alter these. Professor Swinbank said this was the “default” option if the UK did not choose to be in the EEA, but this would result in “trading at arm’s length” with Europe. 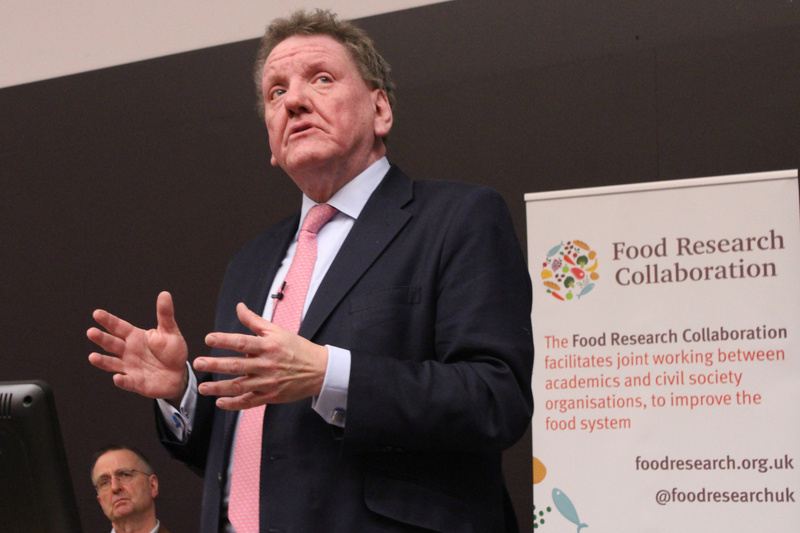 Tim Lang, Professor of Food Policy at City and the chair of the symposium, explained that 3.5 million people are currently employed by the food industry in the UK, with around 27 per cent of food coming from the EU. He explained that there was a gap of £21 billion between the country’s food imports (£39.5 billion) and exports (£18.8 billion). 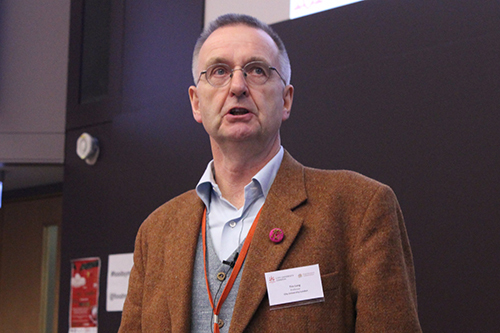 Afternoon speaker Andrew Curry, Director of The Futures Company, added that food production and processing, excluding agriculture, was the largest manufacturing sector in the UK and accounted for 12 per cent of UK employment. While giving an outline of statistics on public opinion on the issue, Andrew predicted food would not be a critical issue in voters’ minds, but that the modern openness to cuisine from other countries could be seen as an indicator of the nation’s attitude to the international community. Peter Stevenson, Chief Policy Advisor at Compassion in World Farming, said a UK exit was unlikely to affect either UK or EU attitudes towards animal welfare and the environment, since neither appeared to be acting on concerns about the impact of food production. Peter warned the world was heading for “a ruthless new generation of factory farming”. "At UK government and industry level, there is very little appetite for improving animal welfare,” he said. 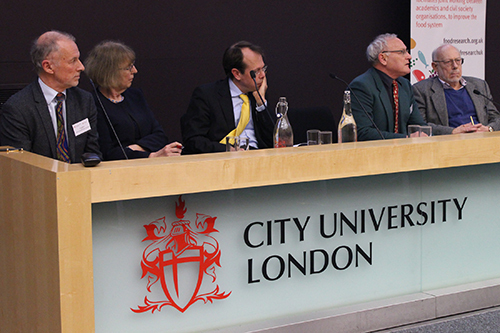 The City Food Symposium was hosted by City University London and the Food Research Collaboration (FRC). Read the FRC summary of the event here.